Complete Auto Services You Can Trust! Your vehicle’s reliable set of tires can always be found at EN-TIRE Car Care Center’s large, state-of-the art facility in Lawrence, KS. Drivers are often unaware of their tires’ true condition until it’s too late. We keep you and your fellow passengers riding safely and comfortably on the industry’s best brands of tires. 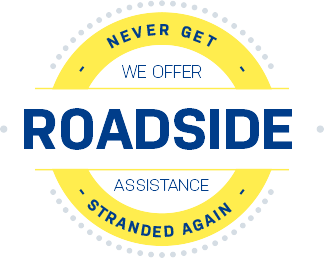 Customers can be confident when they come to us for their needs first because we’re the independent auto service experts. Make us your first and last stop for any tire sales or service needs. EN-TIRE Car Care Center’s team is ready to meet and exceed any of your expectations. Our top quality tire brands help to enhance your vehicle’s performance. Most drivers in this area know us as this area’s go-to tire shop. Other vehicle owners come to EN-TIRE’s Lawrence location for complete auto repairs and maintenance. For quality driving experiences trust your vehicle to our full-service auto repair facility. Our talented team makes us the one-stop shop for motorists and vehicles throughout Lawrence. When we get a chance to know you, your vehicle, and your driving habits, we can perform effective auto services and tire services. With premium quality tires that meet any vehicle’s needs, we’ll get you rolling on the best set of tires possible. The top priorities at EN-TIRE Car Care Center are prevention and safety. Our ASE Certified technicians are equipped with the industry’s latest technologies and service equipment. We prevent costly repairs and dangerous road travel with routine maintenance services. Find Out Everything We Have to Offer–Call Us! Our team of ASE Certified technicians is waiting for your call or visit to our Lawrence, KS location. You’ll find top-of-the-line tire selections for all makes and models of cars, trucks, SUVs, vans, buses, and more. We also design service plans for your auto maintenance and tire services. Give us a call today at 785-842-5500 to schedule an appointment to discuss your specific needs. You can even use our online scheduling system right now.